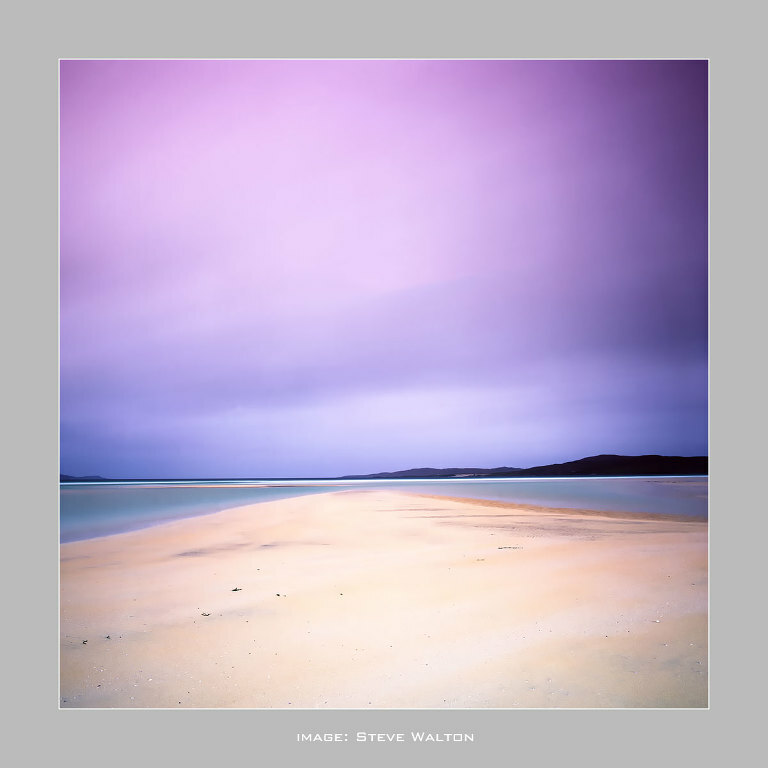 Luskentyre and it’s pastel hues are a perfect location for Fuji Velvia 50, whatever the light. Long exposures of several minutes in good light on Velvia 50 have an ethereal quality and reciprocity failure is not as problematic with Velvia as one might think. 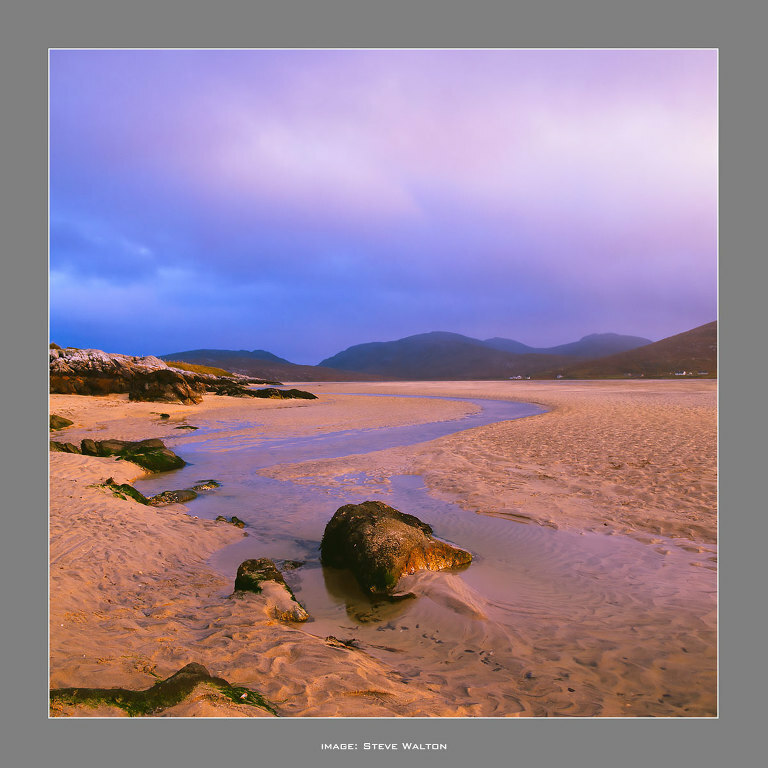 The sands of Luskentyre beach are very light in colour and contribute to the gentle pastel shades of those softly-lit overcast days where sand, sea and sky merge seamlessly together, seperated only by the dinosaur-backed horizon of distant Hebridean hills. It’s a peaceful, fulfilling place that promotes contemplation and the whiling away of time. I love Luskentyre and it’s been good to me, it’s given me images that leap from the lightbox and images in my mind that continue to make my heart leap. Beautiful Luskentyre! Fuji Velvia 50 never ceases to surprise me, just when you think you’ve mastered it and an outcome is going to be predictable, Velvia tweaks the end of your nose just hard enough to let you know you’re getting too big for your boots. I’ve been having fun with a rather nasty little Formatt 10 stop irnd filter. It’s an infuriating square of almost opaque deep ruby/black acrylic which conveniently sits snug inside a Lee filter holder, flares terribly and can bend Velvia’s palette from between a vile overall red cast to pastel magenta and cyan hues. There aren’t many, if any colours that are not altered by this irnd filter and it’s effects are occasionally pleasing enough to my eye for me to continue using it. Maybe one day I’ll discover some kind of predictability of outcome with it that will save my film stocks and bank balance, but somehow I’m fairly sure both will continue to dwindle whilst this piece of recycled polymer continues to play games with my understanding. It seems to work best, if my pile of unusable transparencies in the bin is any indicator, in the brighter, cool light before evening twilight, but I could be wrong! Either way, if we’re accepting colour casts and effects then it’s preferable to me than the more predictable cyan cast of the earlier Big Stopper – to a point! If all else fails I’ll resort to a back-up image on the Firecrest 16, which is more neutral and predictable. Back to Luskentyre. It’s quietly energised, amazingly powerful and you can be whatever you want to be on the beach. In the landscape, I like to be appreciative and a photographer, preferably both, and Luskentyre has never disappointed me yet. In fact there are very few places I have visited that have an equal pull on me than Luskentyre. The Great Dunes National Park in Colorado is one, as is the coastal swathe from Thornham to Wells-next-the-Sea in North Norfolk. Yes, there is a pattern here that seems to be in the sand and other, inner reasons I hold close, but I do like the way sand, sea and sky blend into and complement themselves under long exposures. It’s as addictive as standing on Glyder Fawr watching clouds racing towards you from above Cwm Bochlwyd and expecting to feel something when they crash into you. You don’t feel anything except a measure of awe and Luskentyre knows how to throw that at you. Sometimes an image is best left to how the medium sees it without throwing in unnecessary palette-bending influences. 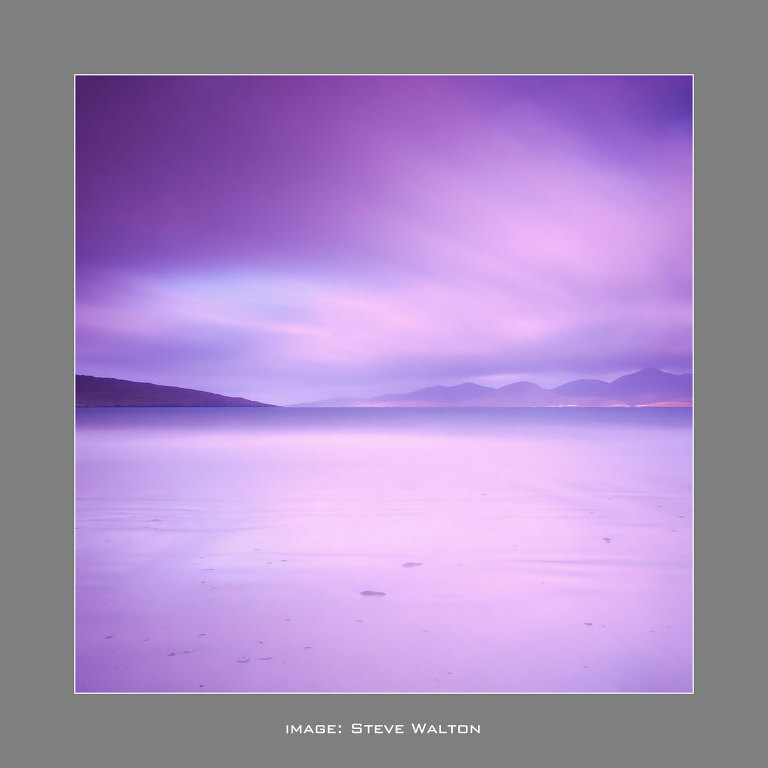 Fuji Velvia’s emulsion is a concentrated syrup of colour and rarely needs any kind of ‘enhancement’, in the right conditions it is just so alluring without any form of filtering. Even graduated neutral density filters are sometimes tantamount to gilding the lily and it’s best just to be immersed in syrup. We once had Kodachrome but we still have Velvia. For now.